Tech Giants Google, Twitter and Facebook are currently purging conservative content from Facebook and YouTube — They are hiding conservative stories on Google — They are shadow-banning conservative news on all social media. The latest victim is the president’s son. 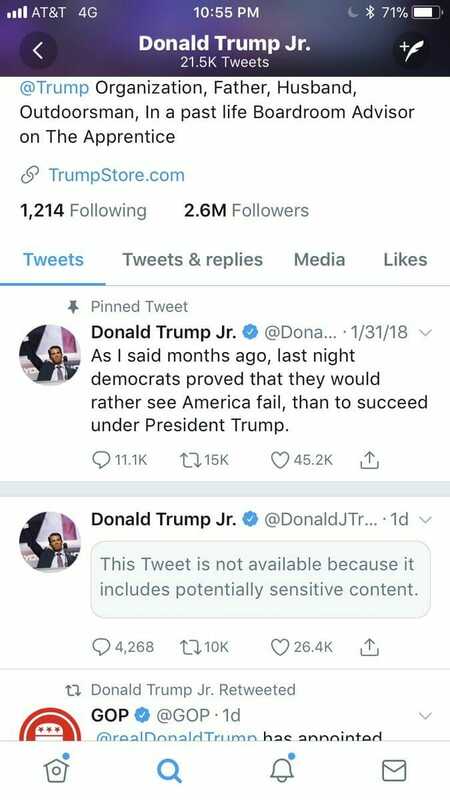 Twitter censored and flagged Donald Trump Jr.’s Twitter feed on Monday morning. The tweet being censored by Twitter is a tweet by The Drudge Report on Maxine Waters. It is not acceptable to attack Auntie Maxine according to Twitter. Donald Trump Jr. responded to the Twitter bias later today.